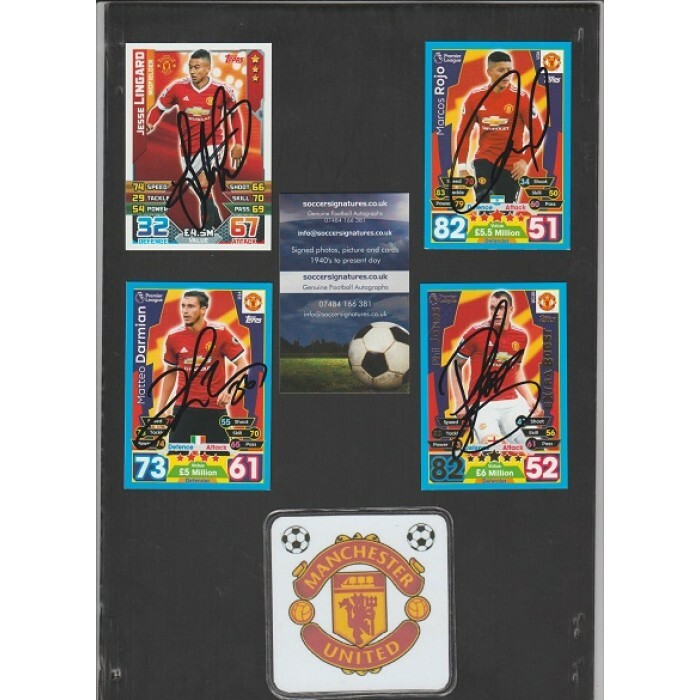 TOPPS MATCH ATTAX card hand signed by MANCHESTER UNITED footballer JESSE LINGARD. The other cards in the picture are also available to purchase separately. I will always combine postage where possible. Please note the soccersignatures system will request you pay 2.69 P&P. Please do this and I will refund 1.50 where your purchase is this single item.